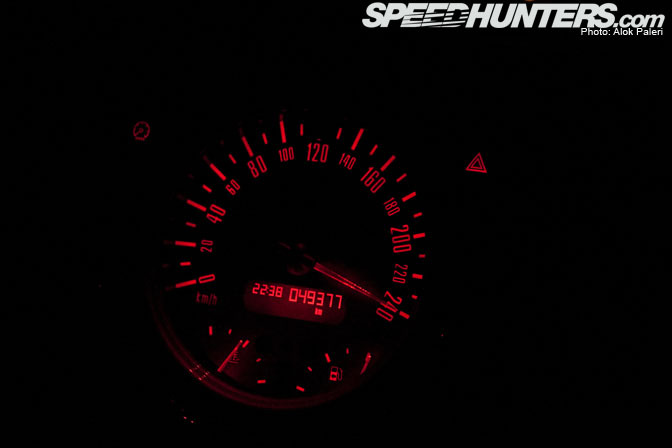 I’m sure that most people who live in and around Germany don’t necessary think of the Autobahn as a Temple of Speed. It’s just a highway system that interconnects German cities. But for people who live further afield, a chance to drive flat out on the world’s only unrestricted freeways sounds like an impossible fantasy. And having recently spent a day driving on these famous roads, I thought I’d commit a few of these experiences to paper (as it were) before the experience completely fades from memory. 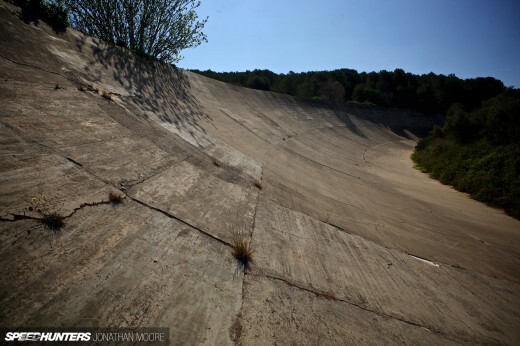 For our day of driving, we met up with Germany-based photographer Alok Paleri and local drifter Patrick Ritzman. Alok was going to help us shoot the driving sequences as Dino and I had our hands full piloting our two BMW press cars. 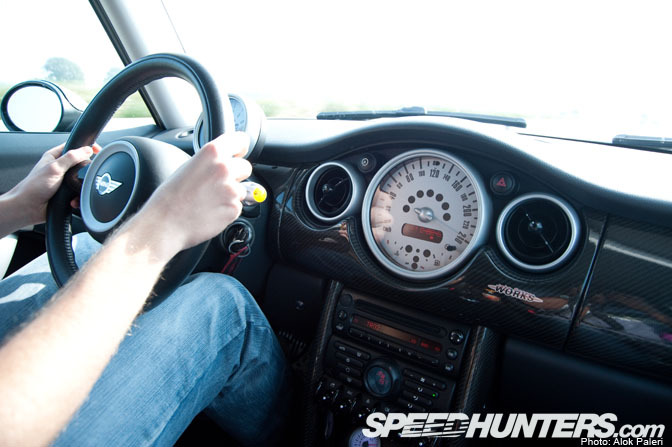 For Patrick and Alok, driving along in a tuned up Mini with your speedometer pegged past the 240 kph marking is just another day on the road. For the rest of us it sounds like a slice of heaven! That said, they did get badly stuck in traffic and took many extra hours to reach Munich from nearby Stuttgart. The Autobahn is kept in tip top condition, but it means that there is always a fair amount of repair work happening. This was my ride for the day: a 306 horsepower 135i. 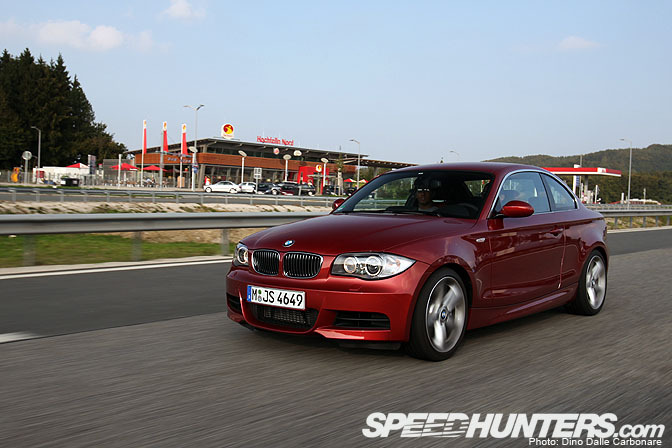 With so much engine stuffed into such a little car, it was a real hoot to blast down the autobahn. Dino managed to figure out what sequences of buttons he needed to press to unleash all 500 horses from his M5’s V10… but I’m not sure he had as much fun as I did! 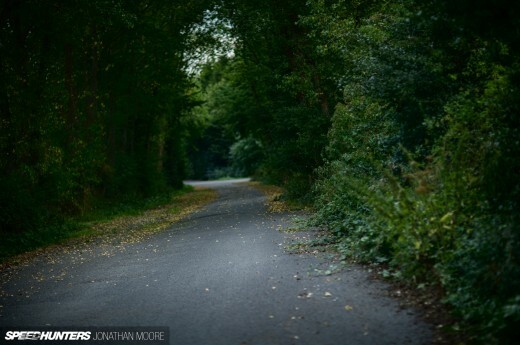 So yes you can drive as fast as you like on the unrestricted sections on the Autobahn… But in order for this to work, it requires a great deal of discipline, respect and courtesy from every single car on the road. The discipline bit means that everyone has to follow the rules of the road. This means no passing on the right, only using the left lane to pass other cars, getting out of the way of faster cars, and continually watching your mirrors for incoming Autobahn rockets. This is very serious stuff and you really have to concentrate, both if you are going to be one of the faster cars on the road, or if you are pulling out into the fast lane while driving a slower car. It requires constant vigilance from all parties, and isn’t something that would work particularly well in other parts of the world. See all of these cars in front of Dino’s M5? All he has to do is close up on them, or flash his lights and one by one they are going to jump out of his way. Can you imagine this scenario in North America? It would never happen! I like to jokingly tell people that the right lane is the passing lane in America, as this is sometimes the only way to get past people in this country! One other observation from the Autobahn I’ve noticed is the importance of grill design on the front of German cars. 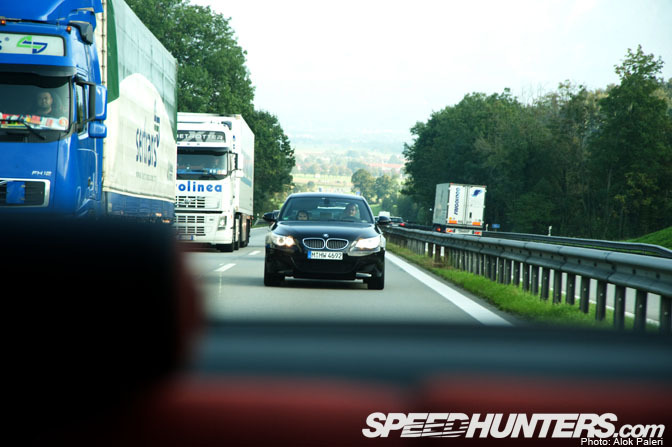 If you are driving a standard car in Germany and you see this big 5 series sedan pull up behind you at a closing speed of 100 kph, of course you are going to fly out of the passing lane and let it by. Conversely, I found that most cars took a while longer to get out of the way of my little 1 series coupe. From the front it could be an economy car, and was treated as such by some of the Germans in their big saloons. They all did eventually yield though. I do have to say that it’s a true joy to have the freedom to accelerate HARD up through the gears right up to the top speed limiter as soon are you see those “no speed limit” signs. way and is safer to those doing runs behind you. It’s no wonder that German cars are so well engineered. Their stability, acceleration and handling capabilties really get a big workout on the local roads. Unless you’ve driven a German car on the Autobahn you likely are not going to be 100% aware of this engineering, especially as the specs of the cars are sometimes different in other countries. 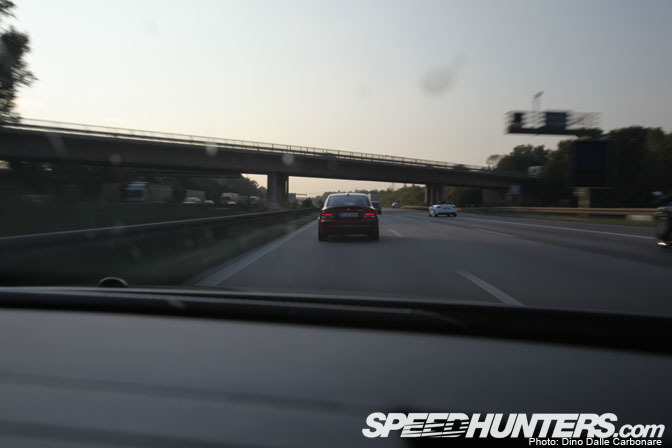 Interestingly, during the 300 or so kilometers that we drove on the Autobahn, very few sections were unrestricted that day. These overheard signs change the limit dependant on traffic so we spent most of the way crawling along to 120 kph limits. 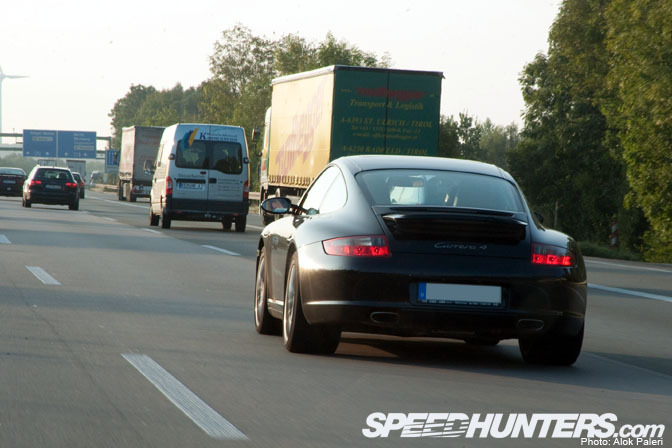 You will often see many nice high end Euro machines on the Autobahn. And you’ll know these cars aren’t just for showing off. They’re definitely driven hard on these roads by proper drivers. 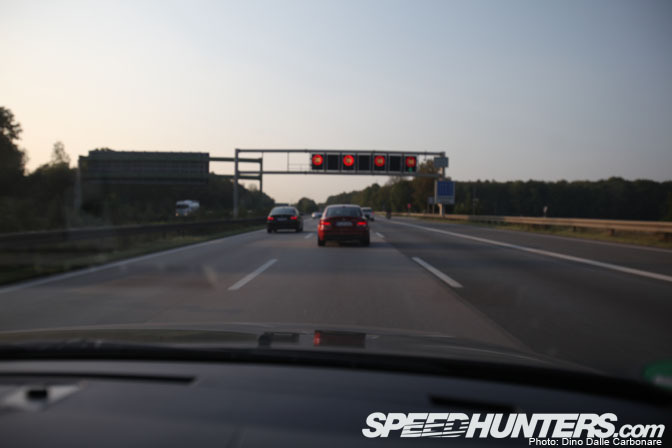 You sometimes feel a little bit of ego-play on the Autobahn, but for the most part its populated by people who take the art of driving very seriously and have a healthy of respect for the rules of the road. This is in marked contrast to some of the idiotic and unsafe driving I’ve seen both in the UK and in North America where many so-called “street racers” have little regard for anything but their own thrills. 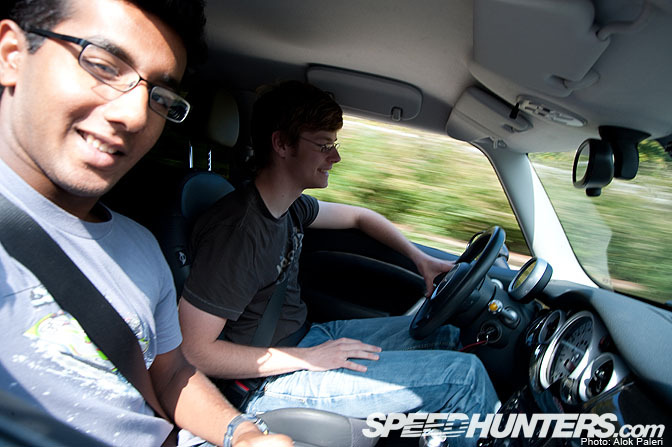 Mind you, I’m sure that Alok and Patrick did enjoy a thrill or two on their way back to Stuttgart from Munich! This photo Alok sent to us seems to indicate so! that's the reason people buy german cars in germany. people tent to underrate foreign cars and expect them to be slow. 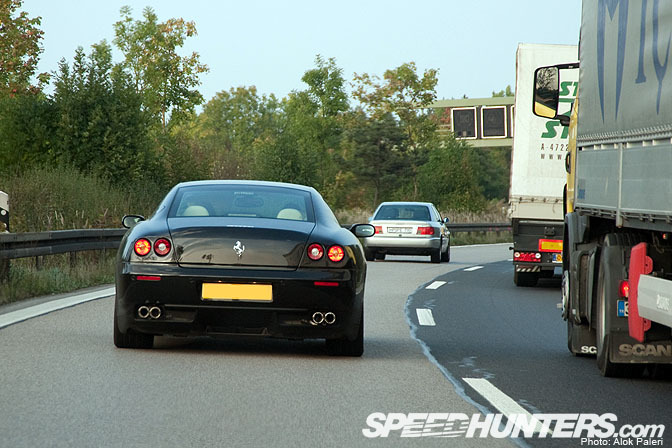 doesn't matter how fast they are, people don't switch the lane fast enough (except for ferrari or equal stuff). so cool! I love to drive in aoutobahn too someday. driving a car at the full speed in a long stretched road is very fun. 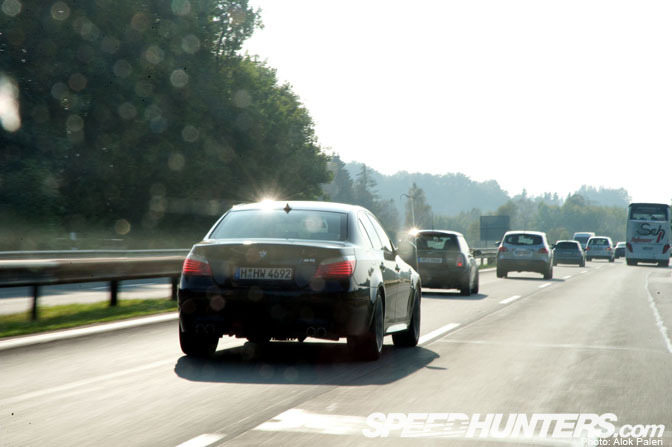 Watch out for those unassuming bimmers in the slow lane. I saw a guy get popped cause he was holding up the fast lane too long. Beautiful country! Awesome cars! 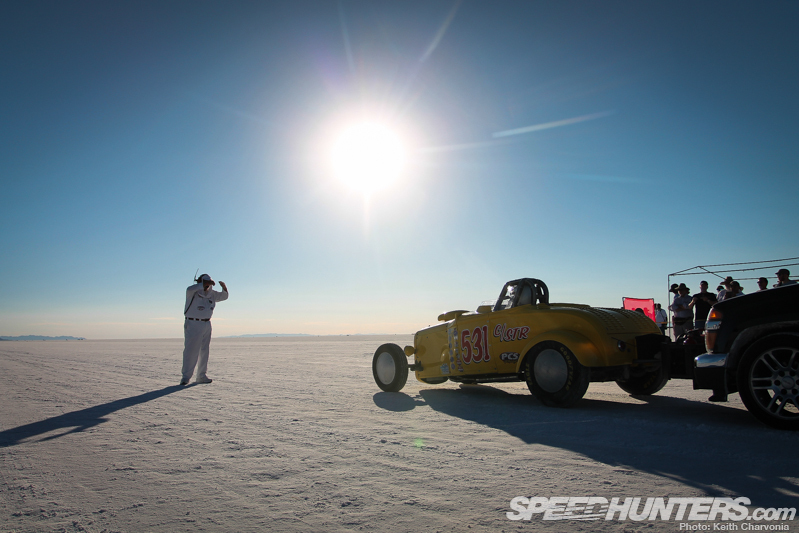 Definitely a Temple of Speed! Desktop of the first? that'd be awesome. flashing the lights to "warn" other people isnt allowed (at least in germany). Its an offense and will get you fined. an watch out for civil police cars with cameras and stuff. mostly e-class merc´s and 5series beemers. I use to live in Bayern...gawd I miss driving over there. People really know how to drive there. Desktop of the last by Alok! yeah, living in germany is nice. just 10 minutes of my place is an autobahn with unrestricted 40km's. flat out with a sc430 (roof open) --> 262kph. 'So yes you can drive as fast as you like on the unrestricted sections on the Autobahn...' Note that you are not insured when going faster than 130 kmh (approximately 80 miles an hour), from their on it's at your own risk. It is so awesome to read about a foreigner experiencing a part of my everyday life. You won't reckon the Autobahn as something exceptional after some time, unless an outsider tells how cool it actually is. Germany is the only Euro country that won't communicate its road safety numbers to Brussels. Speed is a big business. The autobahn is the way to move, I hope it keeps existing in my live time. My favored is the a31 near the Dutch border doing 2+ in my z32 with the roof in the trunk! There are other countries with no speed limit. The Isle of Man has some highways with no limit and interestingly Wikipedia says Venezuela has no limit on it's highways but other sources say the limit is 80 km/h but everyone drives 160 km/h or higher. You can always turn on your left turnsignal, no need to flash your lights. The people in front of you know you are faster and will go out of the way as soon as possible. I couldnt find your statments more true. Alot of rules are changing from when I used to run A6. You must enjoy these unrestricted sections before the emission Legislation makes the entire Autobahn Regulated. lol at ". Your closing speeds to the lorries/semi-trailers is sometimes over 100 kph, so you have to be careful not to go so fast that you can't slow down should a slower car or truck pull into the passing lane"
It´s funny to see how people from other countries see "our" German Autobahn! Whenever I'm in the U.S the lane etiquette REALLY winds me up! Saying that, some U.K drivers also have a lot to learn. Cruising in the middle lane on an empty motorway?? WTH? Haven't had the chance to try the autobahns. Hopefully next year! I think he means an 100k difference between you and the lorrie. You -> 180 -195 KPH. Be careful with flashing your lights. It's considered a threat to the driver in front of you and can be extremely expensive and cost you your license. 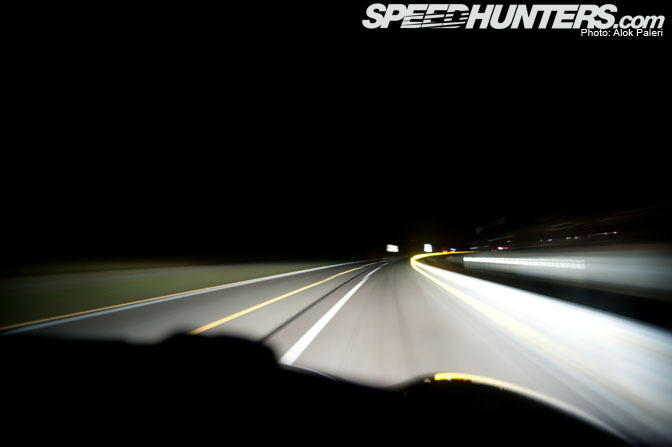 Closing up fast on the car in front of you is a very dangerours habit and kind of a "beginners" hint. There have been several seroius accidents because the driver in front was frightened that much of the incoming car in his rear view mirror, that he lost control. You are doing a lot better if you keep thinking for the others and start slowing down when you get into traffic and keep enough distance to the car in front of you. Fines for driving too close to the back of another car have been increased dramatically in the last years and you even if there was no speed limit at that part of the Autobahn, any accident that your are involved in will be partly your fault because you drove so fast. 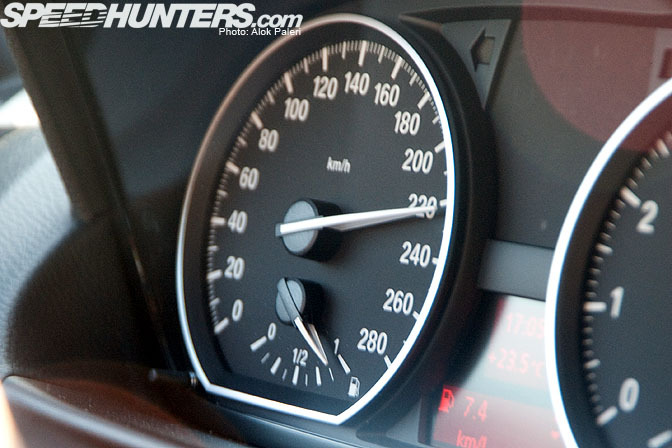 The officially recommended speed on the Autobahn is 130. If you go faster, you can be blamed for accidents. All very intelligent and good advice Andi. flashing your lights or left turnsignal is an offense, not allowed and a coercion! there is no privilege to overtake. tailgating is not allowed. 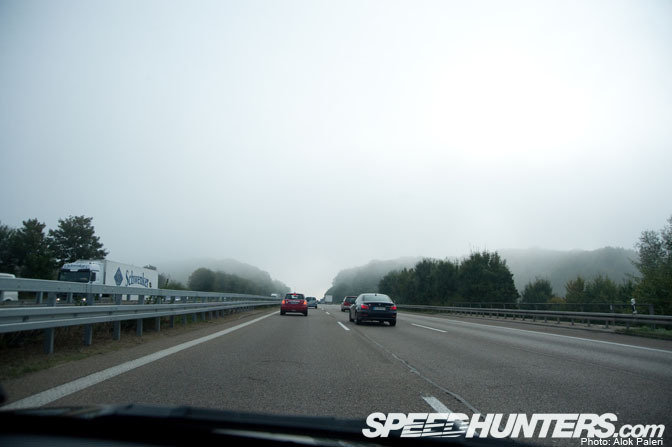 driving the autobahn at high speed is very dangerous no matter how good of a driver you are (or think you are). 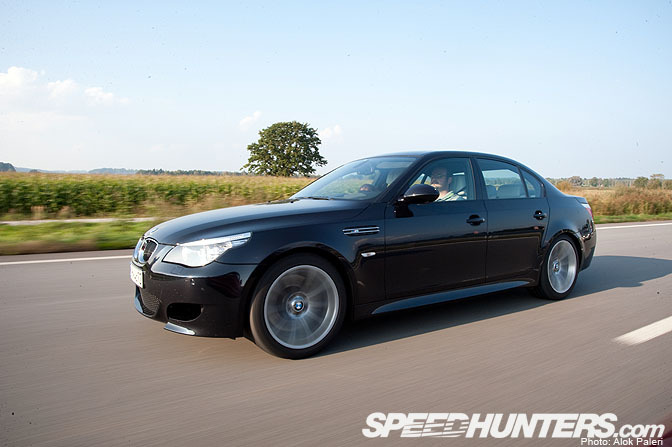 I did 140 on the Autobahn when I picked up my 335i for European Delivery in Munich and drove it to Prague. I was getting passed by big body BMWs and Audi like nothing. I wish that Americans would learn driving etiquette here. After driving on the roads there I realized how poorly American drivers are with respect on the road. It must take a long time for the novelty of driving fast on the Autobahn to wear off because I would do ~150 mph on my way to work every morning in my STi. I still had a face splitting grin on my last day of work, two years later.